Groundplan Pro is powerful event management done right for WordPress. Our WordPress plugin is full of features built specifically for cultural institutions to connect your work, your people, and your stories to your audience. Smart defaults, built-in date logic and flexible settings allow you to save time setting up your events, present a customized patron experience, and automatically archive events after they’re done. Built-in calendars are a snap to include, configure and customize – just add them to your template or include a shortcode, and add your own CSS for a unique look and feel. 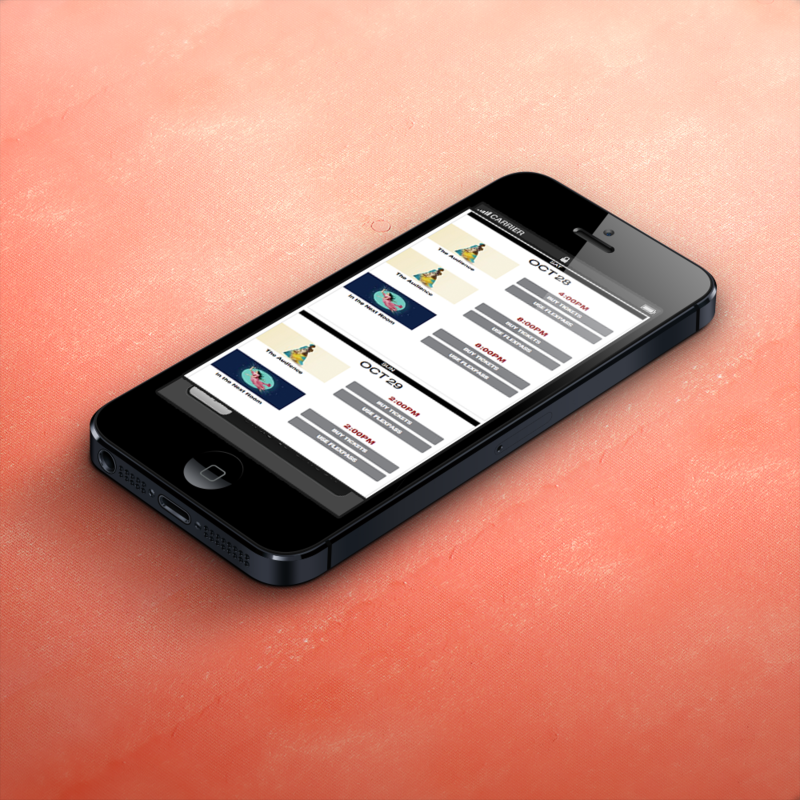 Each calendar is mobile-responsive, offering a great browsing experience no matter the device. Monthly, weekly, agenda or list, mini with day detail, and dropdown calendars and other options offer a straightforward buying process for all kinds of events and design needs for performing arts, film festivals, museum exhibits and timed entry. 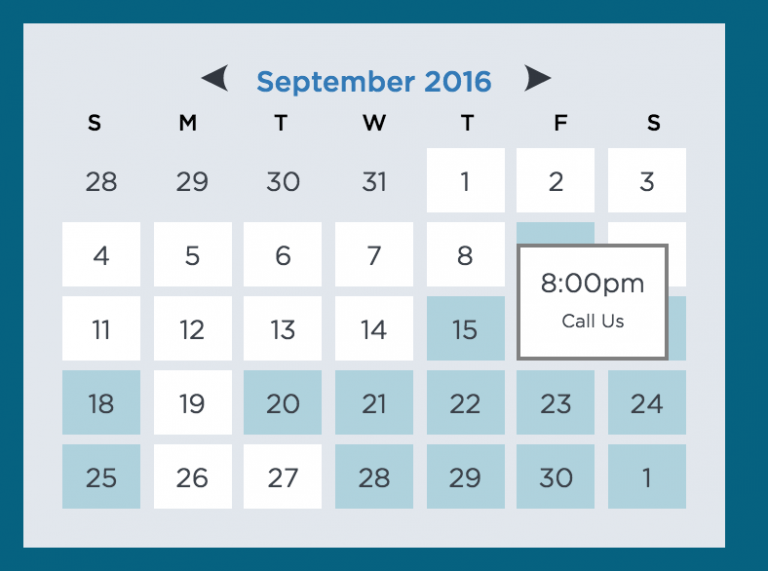 Want to upsell a subscription or a flex pass in your calendar? Have many showtimes in one day? Selling a tour with multiple venues? Groundplan can help you present it all with a minimum of fuss. 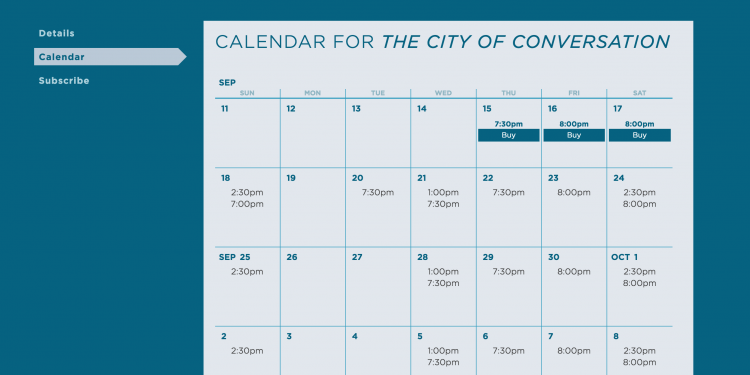 Have a one-off free or RSVP-only event? 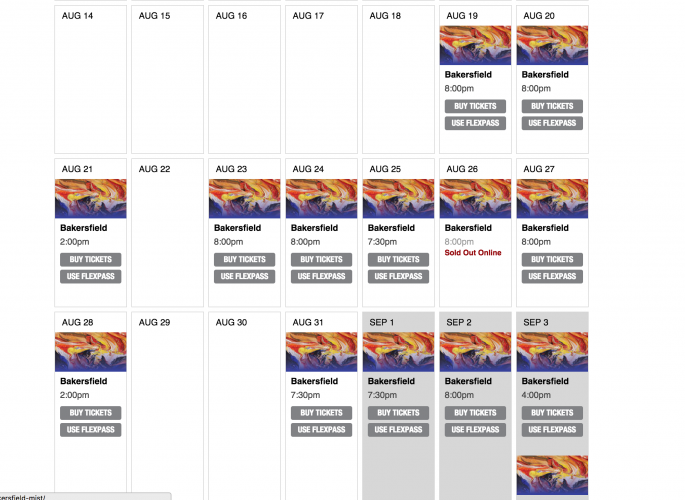 It’s no problem to hook individual events up to a different ticketing checkout sequence. 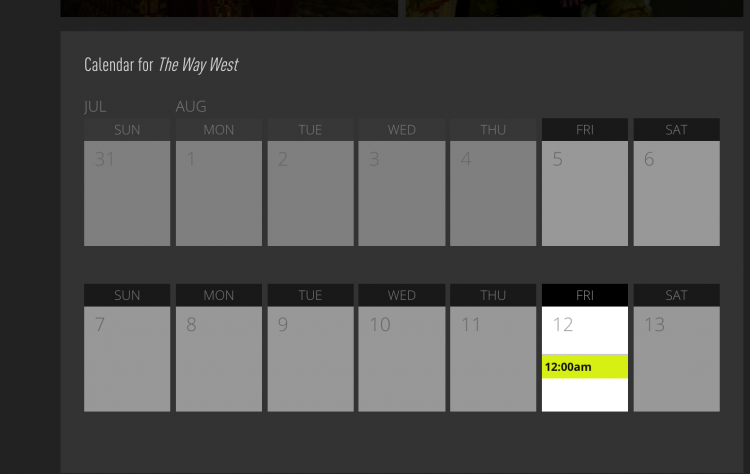 Turn on event categories for genre, series, or seasons out of the box, and add search tools and event filtering to your calendars with one step. Let your Patrons export your event to their iCal, Outlook, or Google calendar, including your venue address, helpful links and event descriptions. 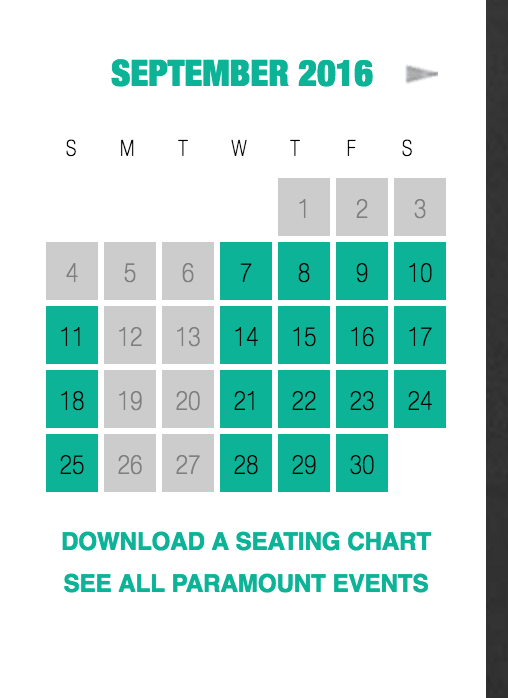 Sync all your venue, event, showtime, and ticketing information from PatronManager with one click. Need to tweak the way Groundplan works? Use hooks and filters to add a video, button, or completely change snippets of code in each calendar. Check out our developer documentation for more. Extend Groundplan with an add-on for Seasons, Festivals, or People / Bio pages to group your events in different ways or enhance your site’s SEO. 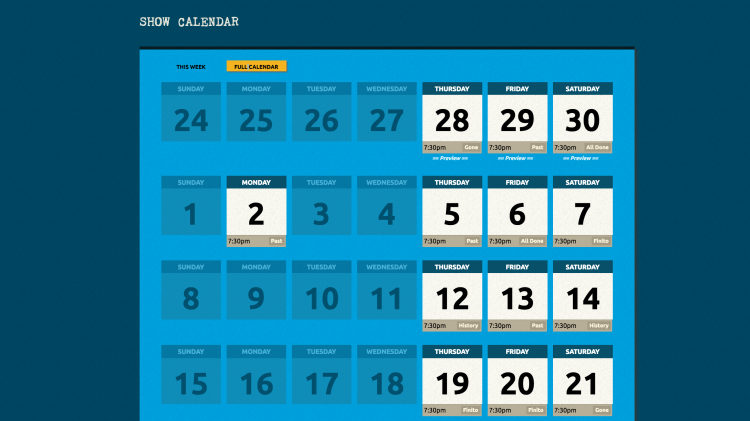 Event and venue management plus configurable responsive event calendars, built on WordPress. Add related artists to events, with support for headshots, bios, and more. * Prices listed are in USD. Prices are for a 12 month term only. All licenses must be renewed after 12 months from date of purchase for continued software updates and support access. For customers with a desire for faster load times with managed and scalable storage and costs, we offer managed hosting configurations powered by Roots Trellis and Digital Ocean. Our managed hosting themes like Archetype come packed with tested WordPress plugin features to help support a reliable, fast-loading website with features that work under the hood to optimize how your site looks to the world. Security features to prevent brute-force attacks and other common exploits. The SEO Framework SEO management and assessment for Pages, Posts, and Events. Optional integration with an Amazon S3-powered Content Delivery Network (CDN) for fast loading media. Secure hosting (https) to protect your patrons’ data at every step. Managed site upgrades and security patches, scheduled around your busiest times. We’ve managed WordPress sites on all kinds of systems, and some solutions are better than others. Our managed hosting configuration, build on Digital Ocean’s industry-leading data centers, supercharges WordPress for fast load times, reliability, and scaleability. Modern and speedy Nginx server with micro-caching (no cache invalidation required). Scalable Memory starting at 1GB. Scalable Storage starting at 30GB SSD storage. Let’s Encrypt (free) SSL certificate and secure hosting. Memcached for rapid and low-maintenance page and object caching. Optional Amazon S3-powered CDN for file distribution and server optimization with low-cost additional storage. SSH and WP-CLI Access available. Git version control and Ansible deployment to staging and production environments for a reliable and seamless upgrade process. Local development environments and collaboration with in-house dev team available. Bower and NPM build processes allow for modern development work ows with minimized deployed assets. iThemes Security plugin to prevent brute force and other attacks. We recommend a third-party daily incremental backup and security scanning service such as Vaultpress for peace of mind. View our installation and configuration reference on our developer wiki. 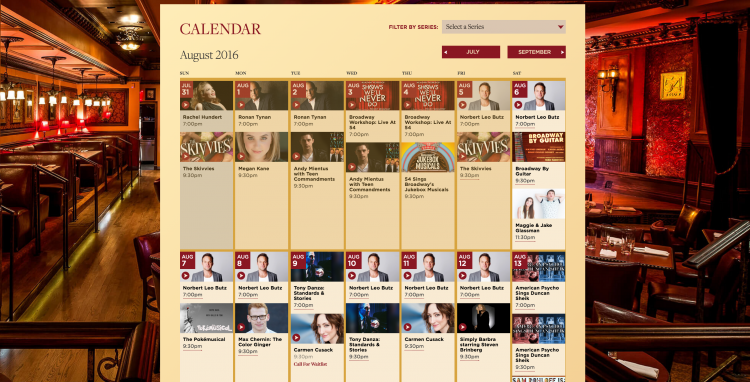 Groundplan features a skinnable responsive event calendar designed for the performing arts and cultural organizations. 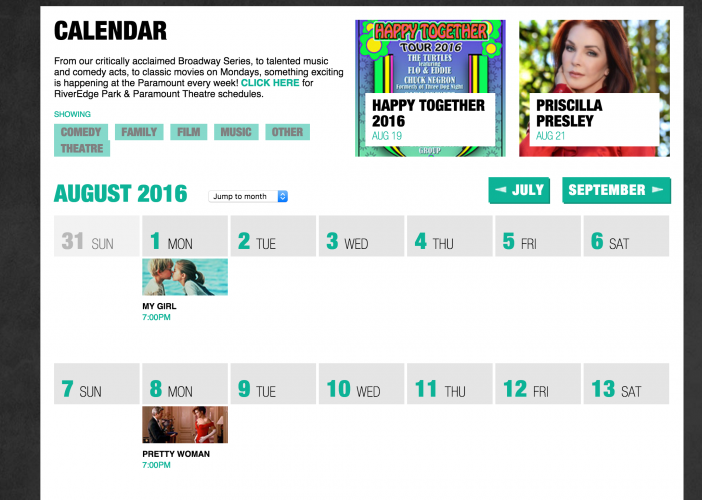 Groundplan includes tools for managing your events, performances/showings, and venues.